What if you are shopping for homes and would like to know how the commute would be every weekday morning at 8:00am? Back in the time of the big fat telephone directories, there used to be a saying: “let your fingers do the walking”. For some of us who are too young to remember when there was no Internet (wink…), this saying came from an ad promoting the Yellow Pages. Clare got a great job offer in downtown Washington, D.C. and is considering taking it. But first, she wants to figure out how long her commute would be from her home in Fairfax. She lives in Fairfax County, in the Chantilly High School boundary, and Fairfax’s 22033 zip code. Or, she could drive to either of these stations and park. Clare used the WMATA trip planner app to figure out the bus routes and the time that it would take to get into DC in the morning. 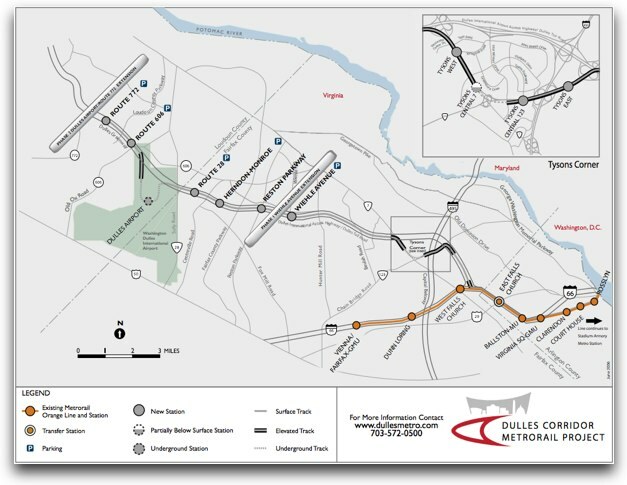 For those of us who live in the Northwestern end of Fairfax County, it will be very nice to take the METRO to Washington, D.C. (and all the way to Largo, MD – where the Redskins play!) using the brand-new Silver Line. This cool video details the locations of each of the stations in Phase 1, and the many fun places that can be reached by traveling on the Silver Line. 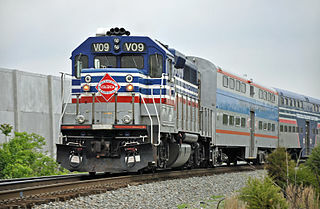 The Silver Line of the Metro connects the Northwestern suburbs of Washington D.C. (in Fairfax County and Loudoun County), and eventually the Washington Dulles International Airport with downtown DC and the Maryland suburbs via rail. Jenny is a successful attorney who works in Downtown Washington, D.C. Her son, Max, is getting ready to enter 1st grade and she would like him to be in the best school possible. Jenny also wants to have the shortest commute time since she wants to help Max with his homework every evening. Max and Jenny have decided to live near the METRO, so that she can ride it every day to work. 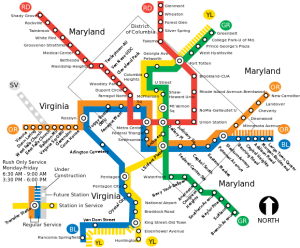 The METRO is Washington D.C.’s rapid transit system, which connects Washington D.C. with parts of its suburbs. In Virginia, there are four lines that service Fairfax County. Last Summer, Mike and Susan were planning a move to the DC area. 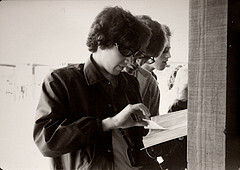 One of their first considerations was, of course, good schools for their two daughters. But a second consideration (and almost as important) was Mike’s commute to DC. Mike has pretty long hours at his job and they really didn’t want him spending even more time away from the family. Since Mike gets a subsidy for taking public transportation into work, being near a rail station was an interesting proposition.